The entire Kooboo application is contained in a zip file of less than 5 MB. You can either use the online version or download, unpack and double click kooboo.exe to start. No installation needed, take 1 second to start. Kooboo is the fastest CMS. Kooboo can render a dynamic page within 1 millisecond. This is a page that contains 10 dynamic content items. Normally take more than 50 milliseconds for other systems to render. Kooboo is very easy to get stared. 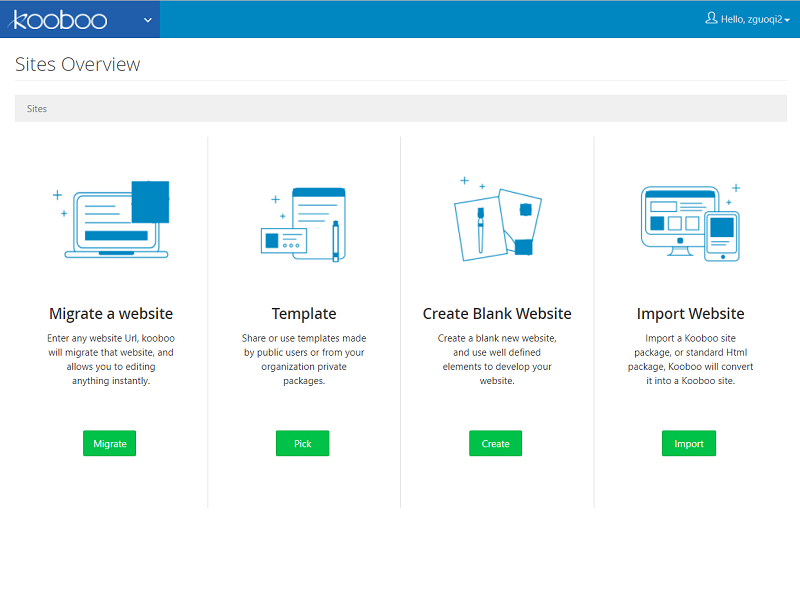 You can migrate a website by a single URL, upload Microsoft office document or standard HTML zip. It will be unpacked, converted, and make available as pages for editing within Kooboo. All contents can be edited by inline editing tool. You can click anywhere on the webpage and edit anything directly. It can be a text, image, content item or style sheet color. All changes you make are logged, every object has a relation map to other objects within the website. You can undo, restore any changes, checkout or restore your website to a certain time in the past. You know exactly where an image is being used, either it is in the page content or in the style sheet. Publishing websites can be done by exporting and importing site packages or creating a synchronization between your local version and an online server. One-Click deployment and incremental deployment are supported.